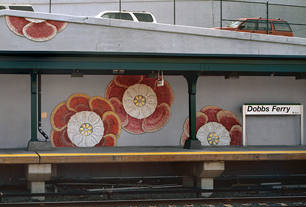 Inspired by an heirloom plant that it is difficult to cultivate, Floating Auriculas by artist Nancy Blum provides a bold splash of color along the retaining wall at the Dobbs Ferry Station, enhancing the station¡¦s natural beauty with a palette of colors derived from the red brick of the old station building. 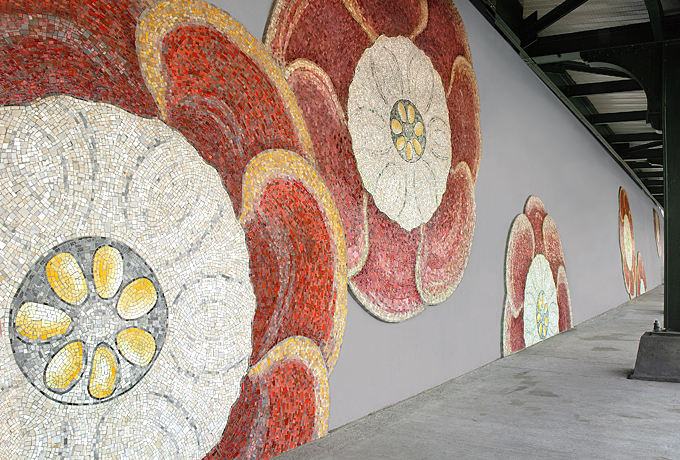 The work uses the repeating quality of the flowers to provide viewers with an energetic imprint they can hold in their imagination as they travel. 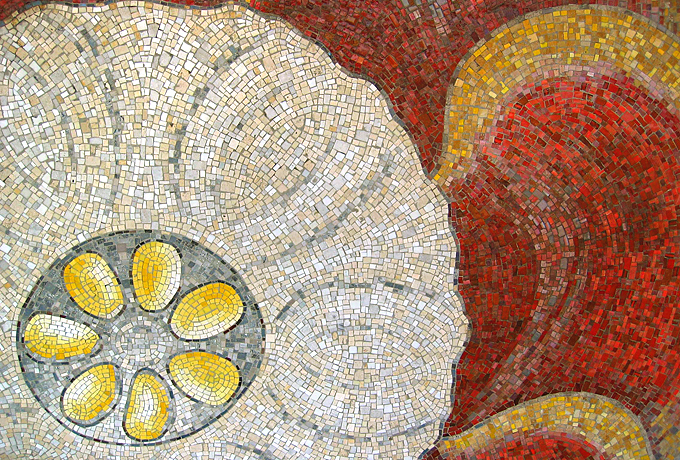 Fabricated by Miotto Mosaics in glass and marble tiles, the mural consists of seven flower heads, each about eight feet in diameter.